New and core technologies for intrusion detectors and perimeter sensors, as well as their real-life applications, are explored in this feature. INTREPID MicroWave 330, a volumetric perimeter detection system for fence lines, open areas, gates, entryways, walls and rooftop applications, is Southwest Microwave's field-proven microwave detection technology. It can detect human intruders with minimal environmental nuisance alarms and maximal reliability. Advanced digital signal processing (DSP) allows the continuous monitoring of intrusion alarm and tamper switch status, received signal strength and detection parameters. MicroWave 330 operates at K-Band (24.125 GHz / 24.162 GHz) frequency for superior performance compared to X-band sensors. This is because K-band is 2.5 times higher than X-band, the multipath signal generated by an intruder is more focused, and detection of stealthy intruders is correspondingly better. K-band frequency also limits the susceptibility of outside interference from air/seaport radars or other microwave systems. 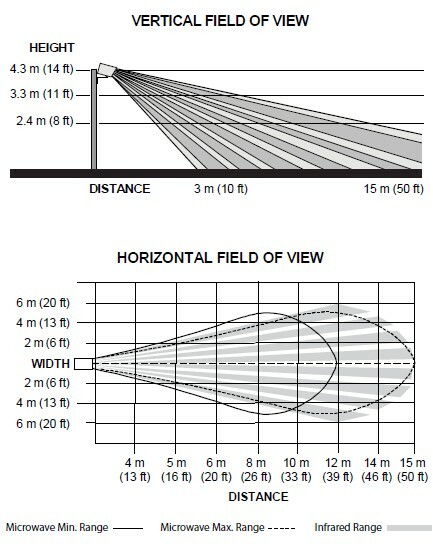 MicroWave 330's antenna beam width is approximately 3.5 degrees in the horizontal and vertical planes. 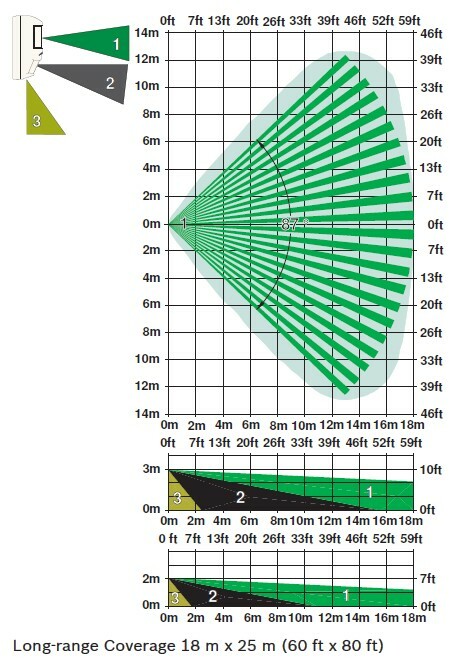 A true parabolic antenna assures long range operation, superior beam control and predictable Fresnel zones. Advanced receiver design increases detection probability by alarming on partial or complete beam interruption, increase/decrease in signal level or jamming by other transmitters. The GPS taut-wire fence system comprises a variable number of barbed wires in parallel with one another at a distance of 10 to15 cm, suspended on support posts positioned about 2.5/3m apart. 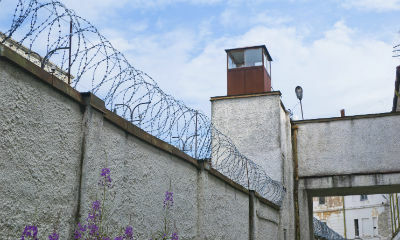 The active part of the system is the sensor post with special characteristics that make it sensitive to attempts to violate the barrier such as cutting, breaking and parting the barbed wires. Following a mechanical disturbance, the barbed wire generates an electrical signal proportional to the energy in the disturbance. The signal, after it has been detected and amplified, is sent to a signal processor unit, which analyses the signal and will generate pre-alarm and alarm signals. 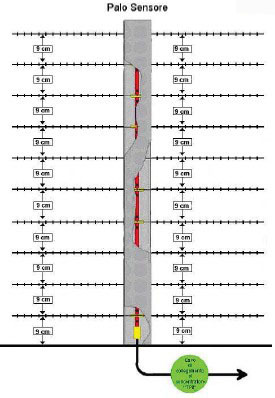 These signals are based on multiple thresholds and other parameters, which can be set up individually for each installation. Each processor can monitor up to 8TPS sensor posts. Using differential signal analysis, the system can eliminate false signals caused by common mode disturbances such as those generated by atmospheric phenomenon (wind, hail, etc.) or by large temperature variations (day/night). The extreme modularity of the system allows the creation of very long perimeters. The processor units are connected to a common data bus cable that is compatible with the Multiplex 2000 sensor management system. Up to 64 processors can be connected to the bus and the central control unit of the Multiplex 2000 system, the UCP, can monitor all the output signals from these processors. For even longer perimeters multiple UCP may be networked together. 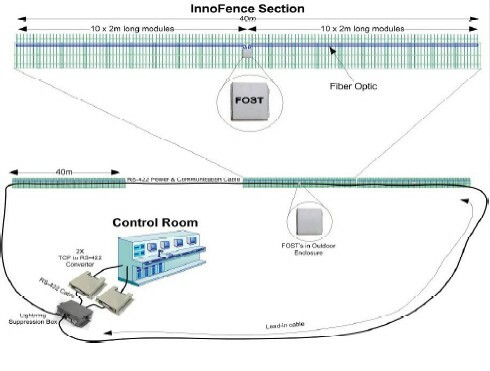 This solution allows the creation of perimeter systems with mixed sensor types, such as IPS Infrared barrier system, GPS Plus buried detection system, DPS double technology buried system, CPS micro-phonic cable, as required by the characteristics of the area to be protected. Southwest Microwave's NTREPID MicroTrack is a volumetric, terrain-following sensor that is capable of setting up a perimeter to precisely locate walking, running and crawling intruders. With a coverage range of 400m (1312 ft) per processor, the MicroTrack system consists of a MicroTrack processor unit and two 200m sensor cable pairs that may be buried along a facility sensor cable pairs. MicroTrack pinpoints the location of perimeter disturbances using an intruder's location and time signatures and therefore is capable of ignoring disturbances caused by insects, animals and environmental factors such as snow, rain and wind. In addition, the system's high signal-to-noise ratio and precise target location help minimize the rate of false alarm. With MicroTrack, detection zones are set in software. As such, zoning can be cost-effectively tailored to suite an application's requirement. In addition, it features a built-in communications system that interfaces with INTREPID set-up and monitoring software to ensure user-friendly installation, system administration and diagnostics. The Magal fiber optic cable detection system specializes in outdoor, fence-mounted perimeter security applications. Using signals generated by the minute flexing of a proprietary fiber optic sensor cable, specific characteristic intrusion signatures are analyzed by a powerful digital signal processor. In addition, the system is also responsive to cutting, climbing on or lifting of the fence fabric. With its programmable microprocessor, it allows user to set the operating parameters for each zone using a plug-in configuration module. Separate parameters are set for cut and climb detection, leading to independent alarm processing, which optimizes detection, and reduces false alarm occurrence to minimum. The unique signal processing of the system includes adjustable firmware with ambient compensation and common mode rejection to build immunity against disturbance from natural or environmental events. FSP almost instantly responds to human targets without producing false alarms from other sources. 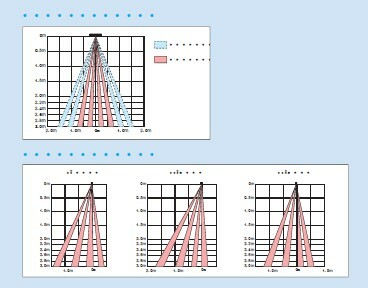 With FSP, the detector's sensitivity can be adjusted based on signal amplitude, polarity, slope and timing. This eliminates the need for the installer to select the sensitivity level, thus improving ease of installation and reliability. The installer can turn pet immunity on or off based upon application requirements. When pet immunity is turned off, the detector provides superior catch performance identical to the non-pet models. When pet immunity is turned on, the detector can distinguish between signals caused by humans and signals caused by pets. It ignores signals caused by one or two pets up to 20 kg or numerous rodents. The next thing to be introduced is a PIR detection system with adjustable parameters, which means the detection zone is adjustable in accordance with the width and length of the windows. The system is built based on alarm intrusion detectors, AB-20NW intelligent PIR, developed by Optex. As some environmental and natural causes are often mistaken as intrusion activities, Optex tries to address the issue with its detection technologies. “The key is to find false alarm factors, and to eliminate as much of the rest as possible. Outdoor environments are changing on a daily basis. Something that nobody noticed could turn into false alarm factors. The most prominent example is plant growth,” said Ryosuke Higo, Product Leader in Optex. With the system's detection area settings and temperature compensation logic, it is able to prevent the surveying of unnecessary areas and mild temperature and environmental changes to be falsely recognized as intrusion activities. Strata PIR motion detectors, developed by Tyco, also exemplifies proper application of digital temperature compensation with PIR technologies. With the addition of mirror optics, microprocessor control and reflective mirrors, the detector allows a significant amount of infrared energy to be focused onto its sensor for better catch performance. In addition, the patented multi-level signal processing is able to minimize false alarm from sources such as air vents, insects, radio frequencies, temperature fluctuations and environmental causes; all these factors can be virtually eliminated through sensitivity adjustment and temperature compensation. 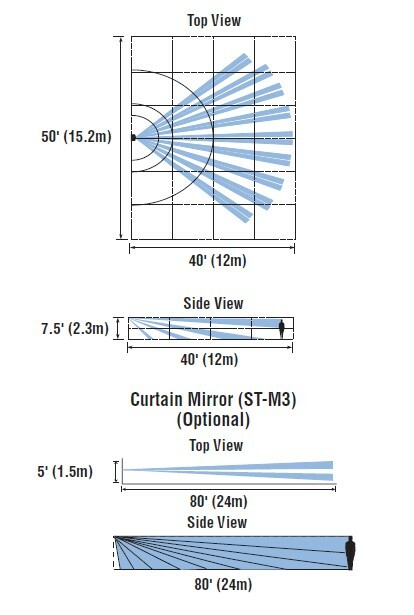 With just a minor, but significant, application of PIR Honeywell's ceiling detector can generate 18 non-stop capture curtains with the step and gliding focus mirror technique. 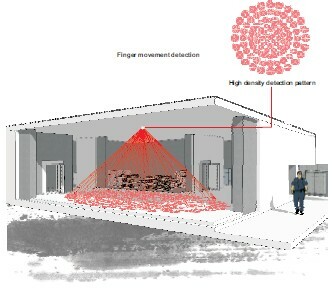 With 18 capture curtains and a 20m diameter detection zone, the detector not only identifies direct incursions, it can also capture crawling objects. To deal with rough environmental conditions and to reduce false reports, a combination of the mirror option with a 4D signal evaluation is implemented. The 4D signal evaluation can distinguish an intruding object from false signals. With 4D and Bi-Curtain signal evaluation, Honeywell's DD600 series is recognized for the diverseness of signals in security applications. The DD600 sensors also include a radar technology with a coverage control in 5.8 GHz frequency range, which permits the sensors to avoid false reports for moving objects outside the detection range. Let's start off with an infrared technology that has a patented micro-movement and dual frequency infrared technology (from A&R Technologies). This all-in-one ceiling mount detector combines a four element IR detector with digital signal processing detection for reliable detection within 12 to 16 diameters. Its micro-movement technology allows its 456 infrared lenses to project infrared onto a total of 8 sectors. 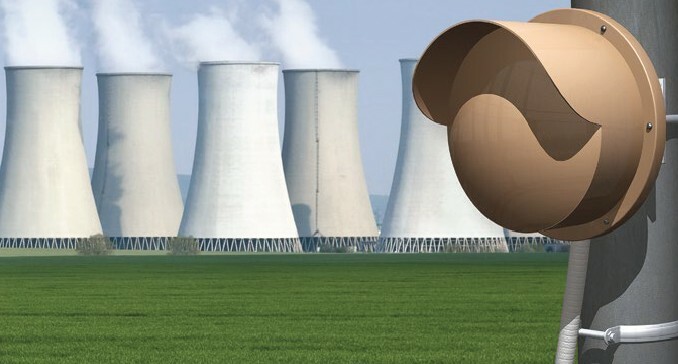 Such a design, which is based on the number of infrared signals that has been intercepted by an intruding object to obtain its height, width and length, facilitates an accurate depiction of the intruding object. Therefore, the system is able to distinguish between insects/small rodents from human intruders, and false alarm rates are reduced and detection reliability is enhanced. As a device that utilizes the technology of dual frequency infrared, it integrates both infrared and microwave into its system. While infrared is for deciding whether or not an incursion poses a threat based on the size of the intruder, the application of microwave allows the system to define the object as an intruder as it yields sufficient mobility to trigger the alarm. The Active Infrared detector (AIR) developed by Atsumi is equipped with spherical Fresnel lenses that produce sharp beam rays and dual beams with a range of 180m indoors and 90m outdoors. Not only does this technology have immunity to environmental factors such as snow, rain and dust, but it also offers strong resistance against radio frequency interference. With the installation of auto gain control (AGC), it's able to adjust its sensitivity to fit the brightness of the light (AGC also ensures that stable operations will be maintained even if 99 percent of the beam power is lost). Furthermore, its adjustable beam interruption time enables it to ignore interferences caused by animals and harmless flying objects such as leaves, thus reducing the amount of false alarms. The AIR intrusion detector developed by Aleph is specially designed to eliminate false alarms caused by fog, rain and small insects. Its intelligent feature allows the system to adapt itself to dim lighting and remain sensitive even when there is no light. Protected by a specially designed outer case, humidity and icing issues are also eliminated. 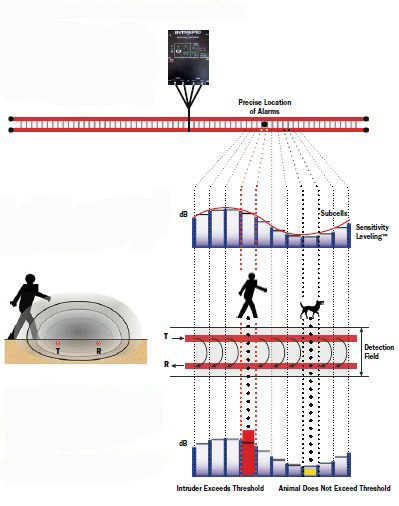 This detector is recognized for its ability to be fully adaptive. A good example of radar microwave detectors is a signature technology developed by Southwest Microwave. 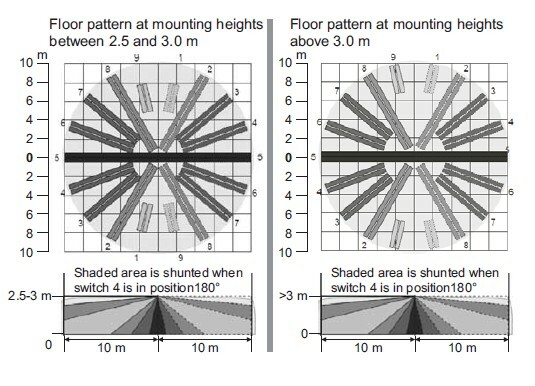 By combining Doppler microwave and passive infrared technologies, MS15 and MS16 outdoor dual technology motion sensors can generate a 15m by 12m detection pattern for upright/walking, running and crawling targets detection (only the MS16 offers enhanced detection capability for crawling targets). Being another dual factor technology, the MS15 and MS16, when configured for “And Gate” operation, along with microwave and PIR complement each other. The passive infrared portion is responsible for detecting radiation emitted by intruders, while the microwave portion is responsible for detecting intruders' motion. When both technologies are simultaneously set off, the sensor initiates an alarm condition. In terms of reducing or even eliminating false alarms, this dual element infrared detector has two microwave receiving channels that are designed to overlook normal temperature variations and at the same time remain responsive to drastic infrared changes created by intruders. This technology is mostly recognized for its ability to protect specific assets or strategic areas and should be used as a part of a proprietary system with on-site response or video verification. Bunker Security's innovative PT Tower photoelectric beam is a robust and discreet enclosure that is resistant to vandal acts. It is constructed of extruded anodized black aluminum with a durable and strong polycarbonate UV treated cover. The tower has a 360-degree protection range, giving the beams the option to be mounted back to back at any height within the tower. The sleek design fits most of the photoelectric beam products on the market, thus providing single or multiple beam options with external ranges of up to 250m (820ft). The tower comes in standard height sizes to meet most situations, rising from 1m, 1.5m, 2m and 3m.